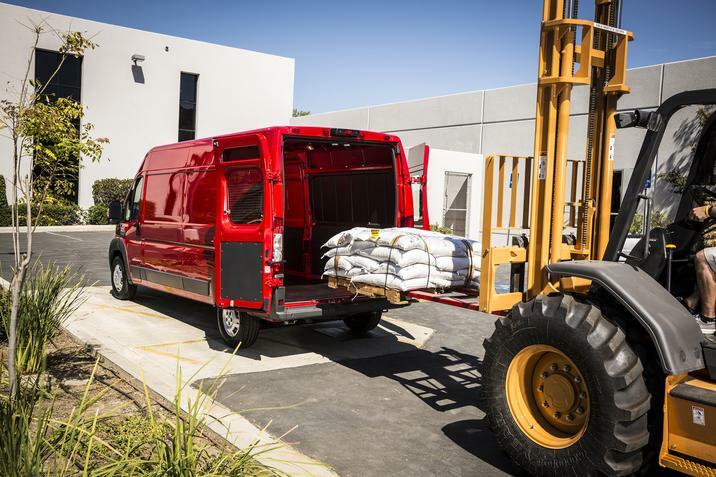 The RAM Promaster has been an effective vehicle for those who require something to transport workers and equipment. Not only can it tow significantly well, but it can also carry sizeable equipment within the vehicle. The 2018 RAM Promaster saw a different form of exterior and considerable power for towing. As car dealerships enter the new year, consumers will likely be wondering what the differences are between the 2018 RAM Promaster and the new 2019 RAM Promaster. 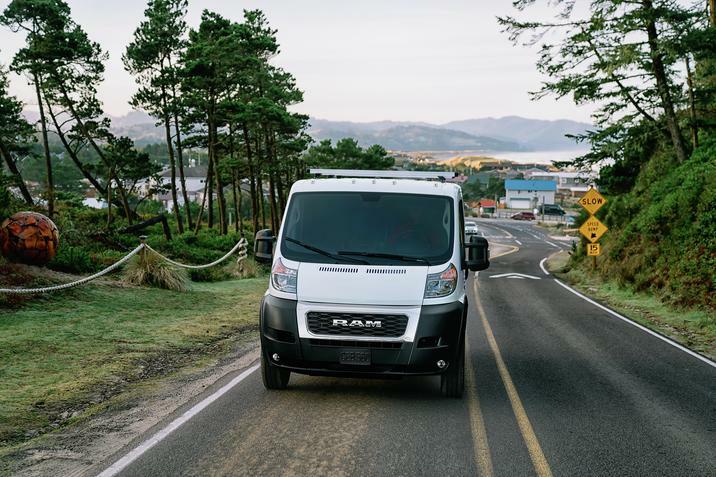 To find out the differences and similarities, read up on this breakdown of the 2019 RAM Promaster vs 2018 RAM Promaster. The 2018 model of the RAM Promaster saw a bold and efficient body with a unique crosshair that ran along the grille. 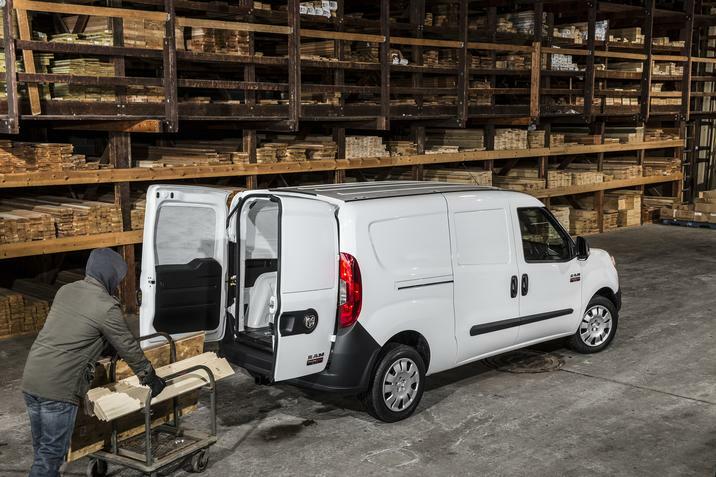 The 2019 RAM Promaster sees a simple change in its design with the crosshair replaced with a bold and familiar RAM stamped along the grille. In terms of difference, that's the only real change between the two models. The shape for the 2019 model is a bit sleeker, but it's still tall enough to fit some large equipment. The headlights are still an effective upwards teardrop shape for maximum lighting in the dark. So, for those who loved the exterior of the 2018 model, you're going to be quite pleased with the minimal changes to the 2019 model. There are three models that the 2019 model comes in for commercial businesses to consider. The 2500 comes with a 136-inch wheelbase with a low roof. There is an additional 2500 model with a high roof that also comes with a 136-inch wheelbase. Finally, the 2019 has a 3500 with a 136-inch wheelbase and your choice of either a low or high roof. Clearly, the choice of variation affects the interior of your cabin. For those who select the 3500, you can expect a top-interior width of 60.4 inches and a bottom-interior width of 48.4 inches. The length of the cabin is 87.2 inches with a cargo volume of 131.7 cubic feet. This incredible space is a small improvement on the 2018 model. Both models at Melloy Dodge in Albuquerque can hold three passengers. So, if you're familiar with the 2018's model for the number of crew you can use within the vehicle, then you don't have to worry about losing that third person. You can still fit them inside even with the slightly increased space of the cabin. Besides that, there are no other significant changes between the two models, so you get the same thing that you're familiar with and love. When it comes to the interior gadgets, you still have access to a screen that allows you to keep an eye on the activity behind you when you backup. However, the screen for the 2019 model is larger than that of the 2018. It also comes with the same tech features that you're familiar with from the 2018 model. This includes hands-free calling, navigation features, voice commands, streaming audio, SiriusXM Satellite Radio, and other notable features. At your dealership serving Albuquerque Santa Fe and all New Mexico, you can find RAM Promasters that have their famous swiveling seats for both their 2019 and 2018 models. This makes for easy and quick access to the cargo portion of the vehicle. It's under the hood where the real 2019 RAM Promaster vs 2018 RAM Promaster differences rest. The 2019 model has an overall 30% increase in towing capacity. That's up to 6,800 pounds. This is a significant increase from the 4,440 pounds of the 2018 model. Both models have the same engine, the powerful 3.6L Pentastar V6 engine. It offers the same 280 horsepower as the 2018 model. One area that the 2019 model outshines the 2018 model--besides the weight of its towing--is in its torque. It offers 260 lb-ft of torque. Even more impressive, perhaps, is the 2019's capability of turning. It has 36-foot turning distance. This can help you take those tight turns that are popular within the city. The engine offers the usual 28 miles per gallon with 448-mile driving range. At Melloy Dodge in Albuquerque, you can find the best miles per gallon ratio that cargo vehicles have to offer with the RAM Promaster series. As a business owner, you're no doubt always concerned about the safety featurs of your fleet vehicles. The 2019 and 2018 Promasters from RAM understand this and have equipped their models with the standard safety features you would expect. As such, the 2019 does not greatly differ from the 2018 model in terms of safety. Both have standard traction control in all variations and builds of their models. They are both equipped with electronic roll mitigation, electronic stability control, front airbags, hill start assist, rear back-up camera, remote-less key entry, front seat-mounted side airbags, side-curtain front airbags, and traction control. Their warranties are also the same with the standard basic 36-month warranty. Visit your local dealership serving Albuquerque Santa Fe and all New Mexico to get your own personal look at the 2019 model of the RAM Promaster. While the 2018 was already a huge success, the 2019 has taken those accomplishments and refined them to offer you even more capability options for your business. With numerous variations and builds available, satisfaction is practically guaranteed.